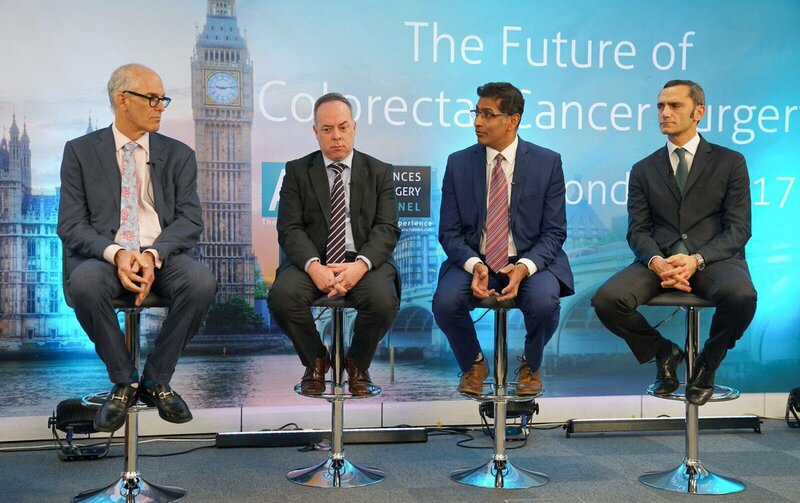 Just 10 days to our 9th Colorectal Symposium "its all about the mesentery"
As with rectal cancer, surgery for colon cancer has evolved, and with emerging techniques and technology we are able to offer our patients more precise surgery with potentially improved outcomes and less morbidity. However, as new options present themselves, it is right that we attempt to objectively understand the potential and limitations of any change in practice. Do we need to be more radical in the case of CME? Or can we less aggressive in our excision with ESD? Will intracorporeal anastomosis using state-of-the-art robotics head towards day-case colectomies? Or can 4K imaging provide the laparoscopist with further advantages? On December 15th 2017, we will be hosting this outstading event of the #colorectalsurgery calendar and attempting to answer some of these important questions. The event will be broadcast live from University College London Hospital and chaired by Manish Chand alongside co-chairs Antonio M. Lacy and Steven D. Wexner. Indeed, we will once again bring together an international expert panel to debate the issues and offer live surgery and endoscopy direct to viewers across the world. There will be a number of new innovations to allow immersion in the event with real-time questions and interaction with the audience. Join us and participate in this tremendous live event which will be followed all over the world! Calvin has identified an emerging area of science having reclassified part of the digestive system as an organ. When asked what this discovery will mean for the future of medicine. Calvin’s TEDx talk will explore the benefits of this new science and relevant implications. That will span across many sectors and professions. Professor Calvin Coffey holds a variety of medical positions, both academically and professionally. These are the following; Foundation Chair of Surgery, Professor of Surgery, Graduate Entry Medical School in the University of Limerick. Consultant Surgeon in Health Services Executive (HSE). Deputy Director, 4i Centre for Interventions in Inflammation, Infection and Immunity. Vice-Dean of postgraduate surgical education in RCSI for the mid-western region. Secretary of the Irish Association of Coloproctology. Council member of the Irish Hospital Counsultant’s Association and lastly, a James IV Travelling Fellow since 2011. The Video-in-Photo (VIP) is a function of the iLappVIP application that can be downloaded for Google Playstore and App Store. The purpose of this application is to allow users to link various pictures of certain technical aspects of surgical procedures, to actual videos of these specific operative maneuvers.